Meeting at the Masonic Hall, High Street, Yatton, Bristol BS49 4DW at 18.45 on the last Monday, January, March, September and November (Installation). The Lodge has 56 subscribing members. Monday 29th November 2016 - Installation of Mike Amos as Master. The Deputy Provincial Grand Master, V.W.Bro.Phil Voisey was in attendance accompanied by W.Bro Grahame Bodman the Provincial Assistant D.C. this evening to see W.Bro Tony Price install his successor, Mike Amos in the Chair of the Lodge. In the photo left to right, Grahame Bodman - ProvADC, Tony Price -IPM, Graham Goodhind - SW, Mike Amos - Master, Phil Voisey, David Bush - JW and Ian MacDonald. 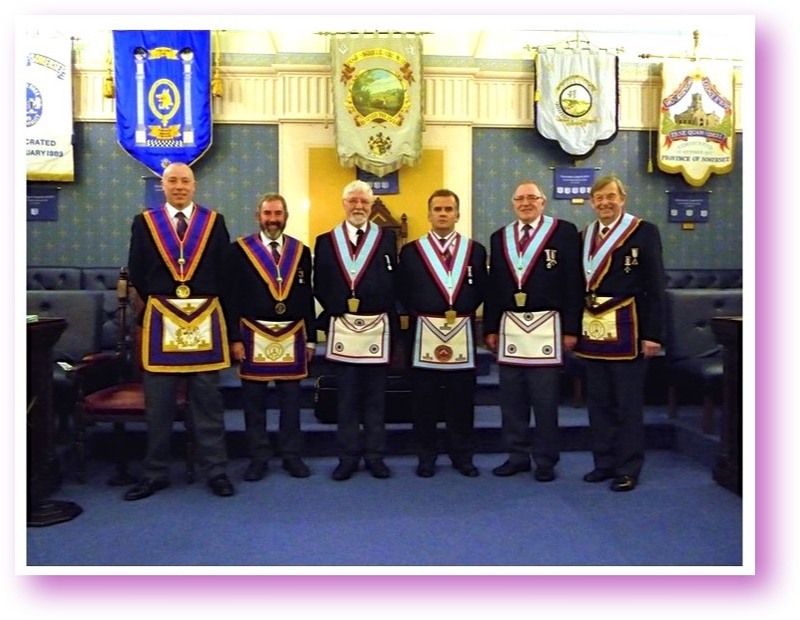 Monday 30th November 2015 - Installation of Tony Price as Master. W.Bro Geoff Seaman represented the Provincial Grand Master, he was accompanied by W.Bro Mark Golding the Provincial Deputy D.C. this evening to witness W.Bro Rowly Ansell install his successor in fine fashion. Tony invested his officers well and the festive board afterwards was enjoyed by all. 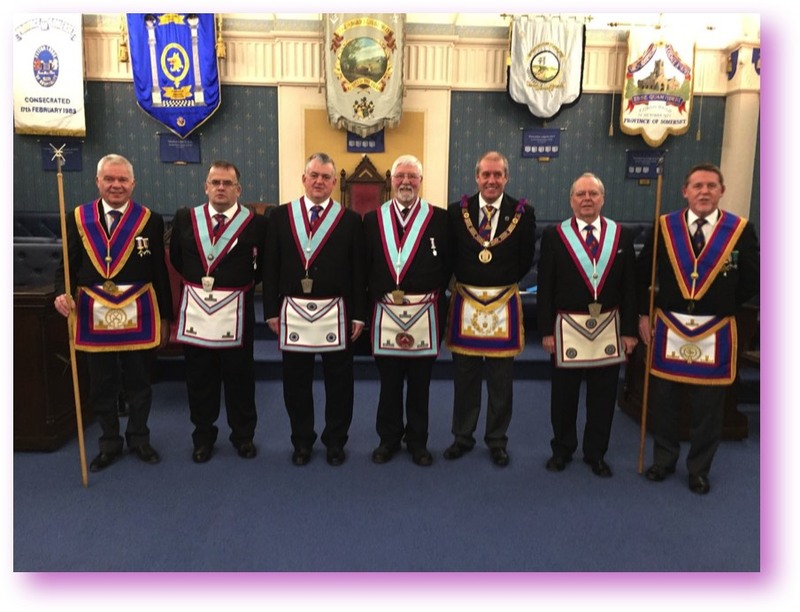 In the photo left to right, Mark Golding, Geoff Seaman, Mike Amos SW, Tony Price, Eric Hill JW and David Hutchings the Lodge DC. 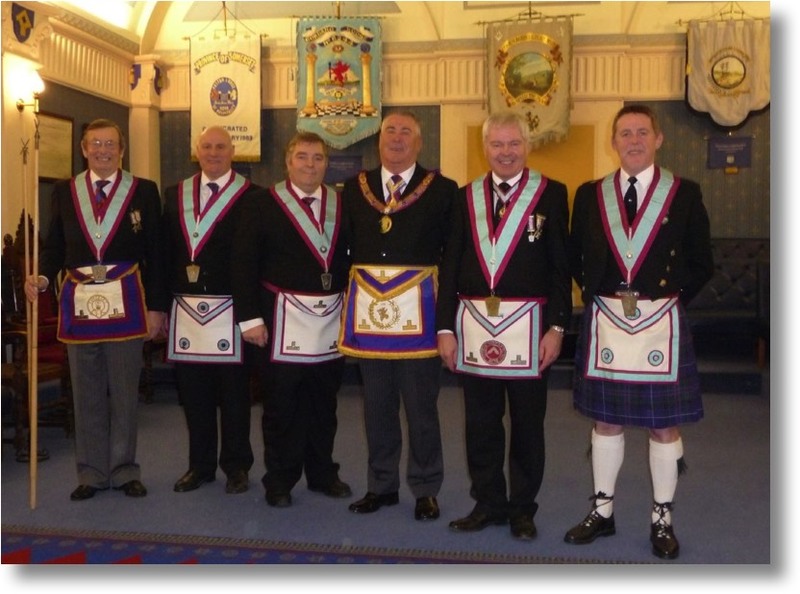 DC David Hutchings, JW Rowland Ansell, IPM James Gilbody, DPGM John Morgan, WM Grahame Bodman and SW Ian MacDonald. Monday 30th January 2012. The Master, Jim Gilbody and hid team performed the ceremony of advancement the candidate was Brian Reynolds who enjoyed his evening immensely. The meeting was followed by a very special festive board, the "George Norman Burns Night" with a starter of Haggis Tatties and Neeps, and of course a wee dram! The Haggis was piped into the dining room by W.Bro Sandy Kemlo and the address to the haggis given with due regard by Bro Ian McDonald, it was a great George Norman evening! It was a very good evening at George Norman Mark Lodge on Monday 28th March 2011. The Master, Mike Morrish and his team performed an excellent ceremony of advancement which the candidate Graham Goodhind enjoyed was very impressed. After the meeting we all enjoyed the usual jovial George Norman festive board followed by the raffle of a lamb, not a live I hasten to add, one but one grown and butchered by farmer and Lodge member Mike Amos, which he had very kindly donated to the Lodge. 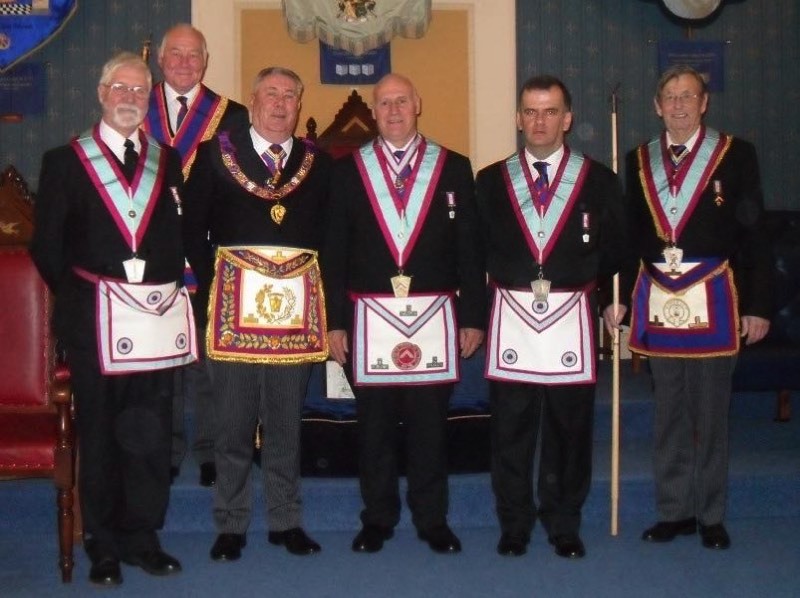 The phot shows, Junior Warden - Malcolm Behling, Master - Mike Morrish, Candidate - Graham Goodhind and Senior Warden Jim Gilbody. At the recent George Norman Installation meeting at Yatton over 100 Mark Masons from all over Somerset and beyond watched W.Brother Martin Yates install his successor Steve Collings into the chair. Watched by The Provincial Grand Master, numerous Grand Officers and Provincial Officers, Martin gave a first class ceremony to give Steve a great start to his Masonic year. The Lodge was also honoured by 18 members of the SAMMS team who attended in memory of W.Brother Fred Collings, the late father of Steven, who is still held in high regard both in George Norman and throughout the Somerset Province. After the ceremonial part of the evening, the Brethren were entertained by W.Brother Sandy Kemlo piping the new Master to his seat at the festive board and all enjoyed a first class meal with some very entertaining after diner speakers. All agreed it had been a lovely evening and George Norman Lodge looks set fair to enjoy yet another successful year. The photo show the principal officers appointed for 2009/10 Mike Morish JW, the new Master Steve Collings and SW Jim Gilbody. September 2012 The Lodge is 75 years old.